Since the initial Swiss heroin-assisted treatment (HAT) study conducted in the mid-1990s, several other jurisdictions in Europe and North America have implemented HAT trials. All of these studies embrace the same goal—investigating the utility of medical heroin prescribing for problematic opioid users—yet are distinct in various key details. This paper briefly reviews (initiated or completed) studies and their main parameters, including primary research objectives, design, target populations, outcome measures, current status and—where available—key results. 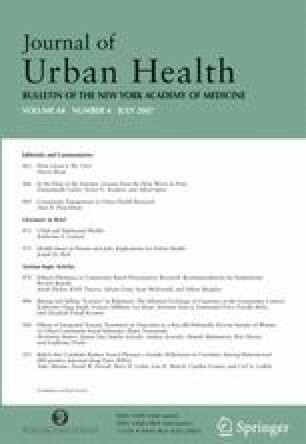 We conclude this overview with some final observations on a decade of intensive HAT research in the jurisdictions examined, including the suggestion that there is a mounting onus on the realm of politics to translate the—largely positive—data from completed HAT science into corresponding policy and programming in order to expand effective treatment options for the high-risk population of illicit opioid users. Fischer and Oviedo-Joekes are with the Centre for Addictions Research of British Columbia, University of Victoria, Victoria, Canada; Fischer and Rehm are with the Centre for Addiction and Mental Health, Toronto, Canada; Oviedo-Joekes is with the Andalusian School of Public Health, Granada, Spain; Blanken and van den Brink are with the Central Committee on the Treatment of Heroin Addicts (CCBH), University Medical Centre, Utrecht, The Netherlands; Haasen is with the Center for Interdisciplinary Addiction Research, University Medical Center, Eppendorf, Germany; Rehm is with the Research Institute on Public Health and Addictions, University of Zurich, Zurich, Switzerland; Schechter is with the British Columbia Centre for Excellence in HIV/AIDS, St. Paul_s Hospital, University of British Columbia, Vancouver, Canada; Strang is with the National Addiction Centre, Institute of Psychiatry, London, UK; Strang is with the NHS Foundation Trust, London, UK; van den Brink is with the Addiction Research Centre, Department of Psychiatry, University of Amsterdam, Amsterdam, The Netherlands. The Office of National Drug Control Policy (ONDCP). Heroin Fact Sheet: June 2003. Available at: http://www.whitehousedrugpolicy.gov/publications/factsht/heroin/. Accessed November 8, 2006. Schulenburg J, Claes C. Gesundheitsokönomische Begleitforschung und Spezialstudie im Rahmen des bundesdeutschen Modellprojekts zur kontrollierten Heroinvergabe an Schwerstabhängige. Available at: http://www.heroinstudie.de/Gesundheitsoekonomie_Kurzf_abg.pdf; 2006.